I love green tea! 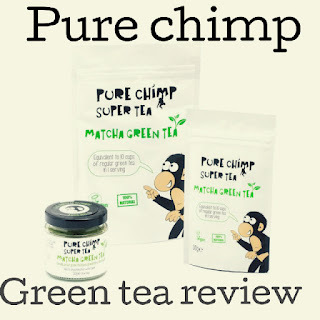 I love that its good for you, it boosts your metabolism, so when the opportunity to try and the pure chimp green tea I was so excited! I was sent a 30g packet which was so cute! It had a zip lock top which obviously is a bonus as the 30g packet is perfect to travel with. The instructions on the back of the packet are very clear an they also give some serving suggestions! " mix 1/2 teaspoon with juice /water for a super shot or mix with hot water and honey for a luxurious hot drink or add to your favourate smoothie." Once I opened up the packet I was really surprised. 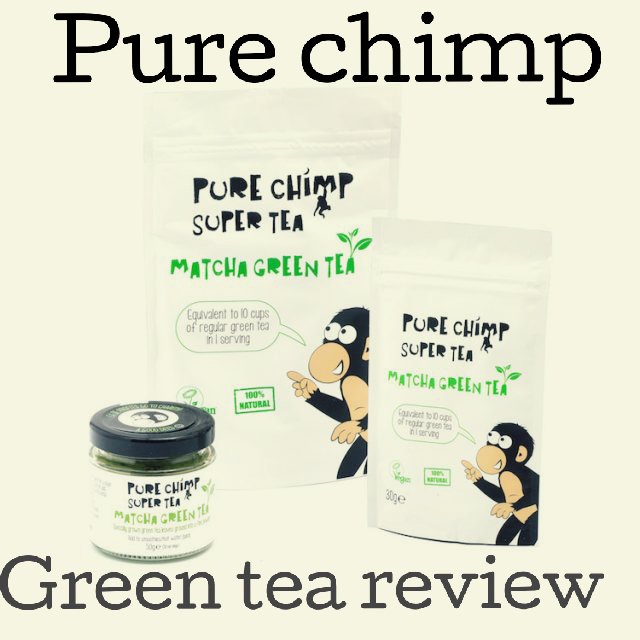 The green tea was really finely ground and there was loads of it. Also it smelt gorgeous! i expected it to smell like cut grass but it didn't!. I first off tried mixing it with juice. It didn't state fresh of diluted so I used fresh as that is all we had. I mixed the stated amount in and obviously it turned green. But it didn't change the taste. I drank the drink an it still tastes like orange juice. I was so refreshing and I was full of energy after. The only down fall was that we didn't have a whisk so some of the powder was a little lumpy. Second of all, I tried it with a pint of fresh cold water. I again mixed in 1/2 teaspoon and it was gorgeous! I mixed it in and it still taste like ordinary tap water, it again went a little lumpy. However, there was no 'herby' after taste and again was so refreshing! Finally I tried it with hot water. This is how I would normally drink my green tea. I mixed it in an added some sugar as we didn't have honey and I wouldn't have known the difference from the tea bag I had brought a week previous! Overall this is a brilliant product. It stayed fresh due t the zip lock bag and didn't leave a horrible after taste like you would expect. I would definitely recommend it! if a whisk is not used it can go a little lumpy! You may need to use a little less then stated.